I know it’s supposed to be Spring in NYC, but somehow it’s still biting cold outside. The forsythia are just starting to bloom. I was walking Remy in the park today and I was freezing!!! I couldn’t wait to get back inside and cook up something warm and comforting. What better way to take us from winter to spring than with a beautiful soup. 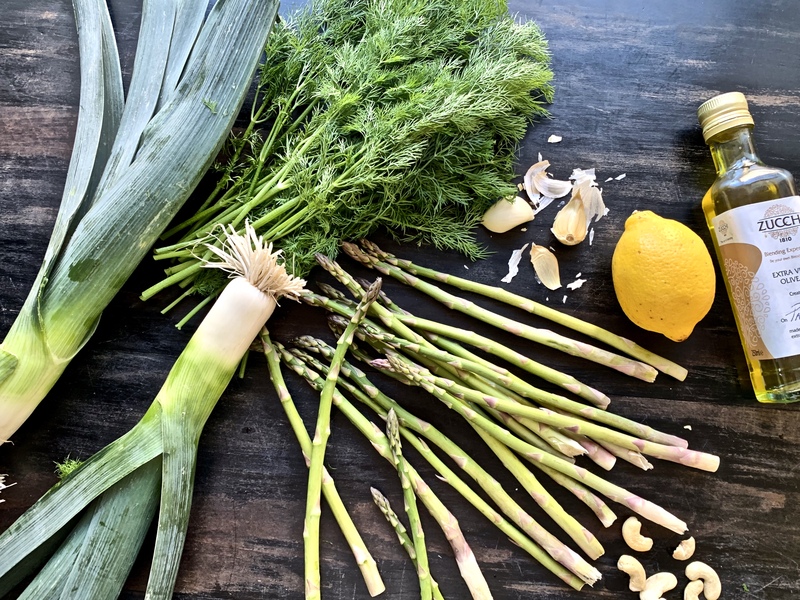 This asparagus-leek combo is one of my favorites and it can either be a casual weeknight meal or simply a great beginning for a more upscale dinner party. The secret to my dairy-free vegetable bisque is always cashew cream. Scroll down to the bottom for the full recipe. 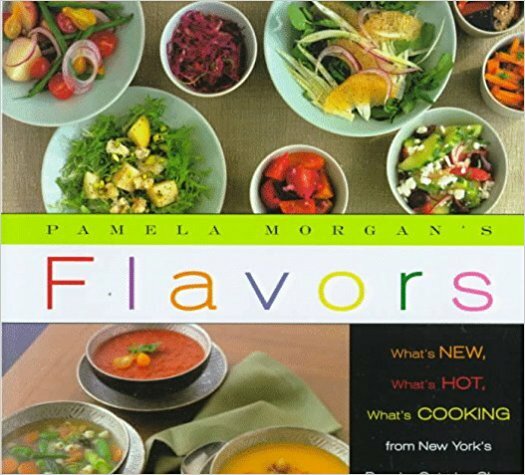 Back when I studied cooking in the south of France, I worked for free in the kitchen of Moulin de Mougins. The charming 4-star restaurant was housed in a 16th century mill located in the inland French Riviera town of Mougins. I had never seen so many varieties of asparagus in my life. 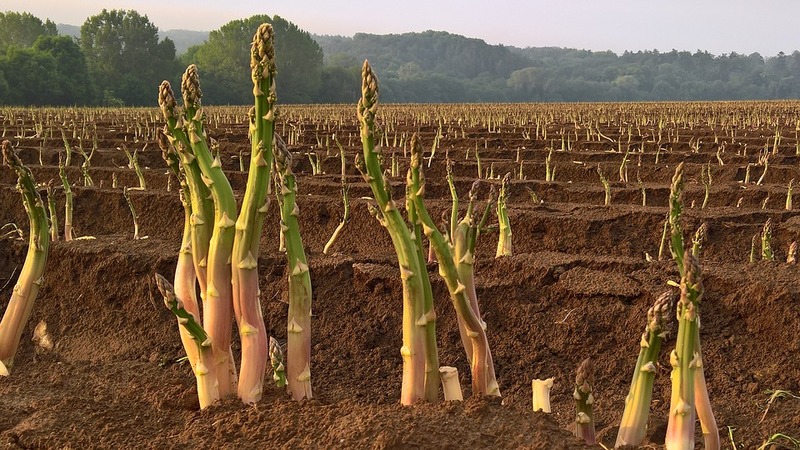 I even took a trip to an asparagus farm right near the restaurant where I learned, from start to finish, how to grow asparagus! In a saucepan, cook the leek and garlic in oil over moderately low heat, stirring, until the leek is softened. Add in asparagus, broth and 2 tablespoons dill. Simmer mixture, covered, for 10 to 12 minutes, or until asparagus is very tender. Purée two-thirds of the mixture in the Vitamix until it is very smooth. Stir the purée into the mixture remaining in the pan. Season with salt and pepper to taste. 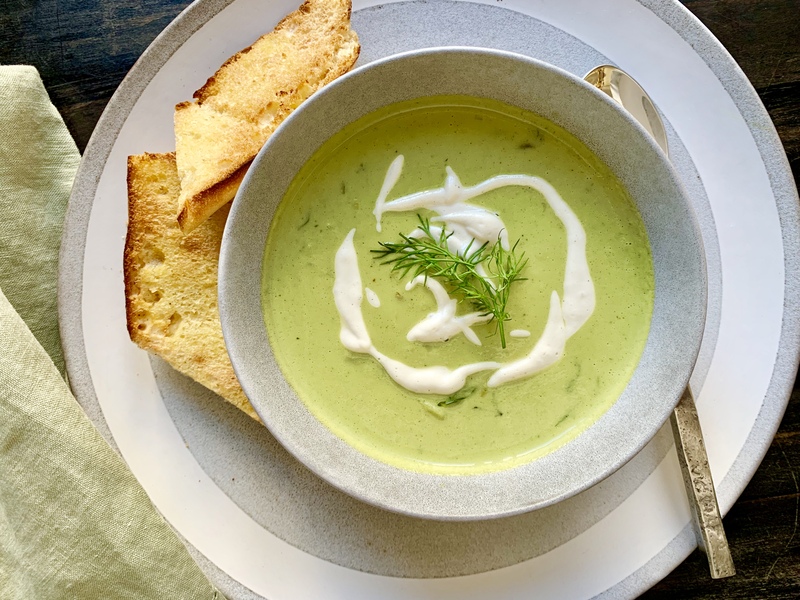 Serve your soup with a garnish of dill a tablespoon of cashew cream.